Each heavy gauge rigid steel basket is powder coated black. Comes with heavy duty chain hanger and large mouth hook. Liner has built in water retainer. 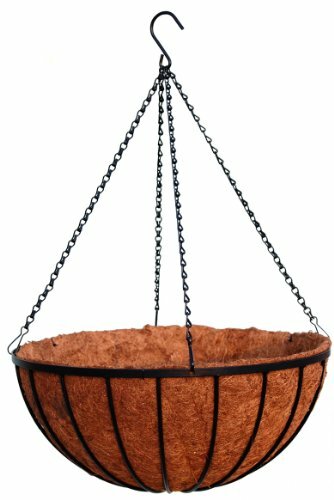 You will receive 10 iron planters, 10 coco moss liners and 10 chain hangers. Direct from manufacturer! Heavy duty rigid welded frame basket. Powder coated black for long life. Coco Moss liner with water mat to keep moisture in. Better quality than any basket on the market.